"The Town that Slept w/the Lights On" (1958). Edmond O'Brien directs this episode of Schlitz Playhouse as well as plays a hard-hitting New York reporter investigating two murders in a small town and doubting the Hispanic suspect fingered by vigilantes. The episode (which has a hardboiled-style voiceover and discussion of domestic violence) is written by Liam O'Brien, Edmond's screenwriter-producer brother (Police Story, Hawaii Five-0, Miami Vice). A mystery parody by Harry Stephen Keeler? 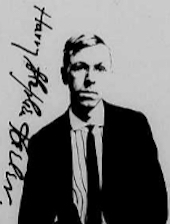 In the latest issue of Keeler News, the newsletter of the Harry Stephen Keeler Society, Morgan Wallace posits plausibly that mystery/sci-fi writer Keeler wrote a 1920 PI parody, "The Keenwit Case," for the Chicago Ledger under the pseudonym Lon Riggs to make a point about the types of material that could come over the transom at a periodical. "The Keenwit Case" is reproduced in the newsletter and features such immortal statements as "[t]hen he lighted a cigar, and smoked viciously. This indicated that his brain was very active, and that without a doubt the clever criminal would be in irons before the close of another day." 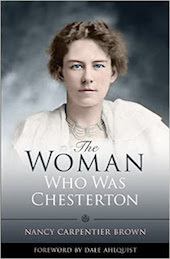 Frances Chesterton, wife of G. K.
Stephanie A. Mann provides some insights on poet-playwright Frances Chesterton, wife of G. K. and niece of art historian Mary Margaret Heaton, and mentions the 2015 biography by Nancy Carpentier Brown, The Woman Who Was Chesterton. Brown blogs on Frances Chesterton here. Both writers paint a touching picture of a devoted couple. According to the 13 Dec. 1938 New York Times, G. K. regarded Frances as "in all ways a kindred spirit," and longtime G. K. friend E. C. Bentley (Trent's Last Case) called her G. K.'s "right-hand in all his dealings with the world" (qtd in Brown). Of related interest: Frances Chesterton being mistaken for The Lodger author Marie Belloc Lowndes and her response: "I am quite willing to feel honored by [the] mistake, but they [Hilaire Belloc and Marie Belloc Lowndes] might feel aggrieved." Belloc (brother of Marie Belloc Lowndes) and G. K. Chesterton were close friends. In this Dupont Cavalcade Theatre episode, Dan Duryea stars as a butcher who witnesses the murder of an anti-corruption advocate and is threatened by the perpetrators. Harold J. Stone and Barbara Billingsley co-star. The episode is based on "The Frightened Witness" (Saturday Evening Post, Aug 1952) by Mildred Cram (best known for Love Affair, aka An Affair to Remember). Read her wry article "Author in Hollywood": "I recognized only one contribution of mine, a two-minute scene. To this end I had labored eight weeks." 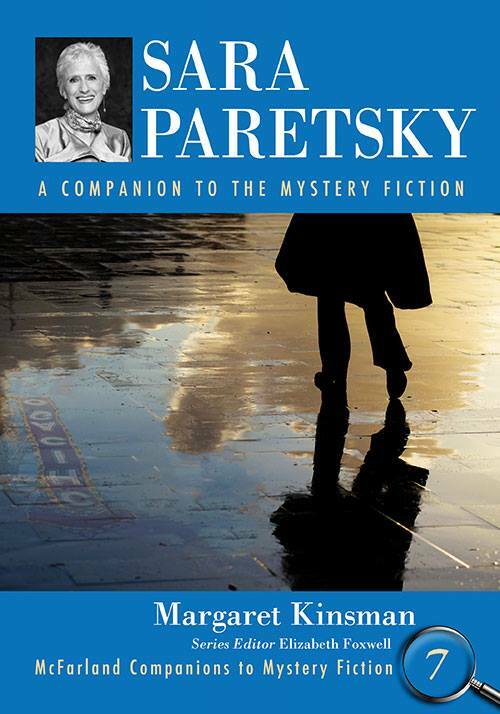 Just published is Sara Paretsky: A Companion to the Mystery Fiction (vol. 7 of the McFarland Companions to Mystery Fiction series) by MWA Raven recipient Margaret Kinsman. I edit the series. Goodies abound in this in-depth analysis of Paretsky's groundbreaking detective V. I. Warshawski and other subjects in the author's fiction and nonfiction works, including Margaret's discussion of Paretsky's first published piece (which she wrote at age 11). Theodore Sturgeon's "No Answer" (1958). A con man (Donald Cook) who targets wealthy widows seems to have an unshakeable alibi when one of his victims is murdered. Keenan Wynn stars as the police officer frustrated by his previous unsuccessful attempts to nab the man. This Dec. 1958 episode of Schlitz Playhouse is based on the story "Dead Dames Don't Dial" (1956; repr. in And Now the News...) by Theodore Sturgeon (1918–85, best known for science fiction) and is directed by Arthur Hiller (Alfred Hitchcock Presents, Naked City, Perry Mason, The Americanization of Emily, etc.). At Yale: An illustration of Edgar Allan Poe. The Room 26 Cabinet of Curiosities blog of Yale's Beinecke Library highlights its new acquisition: postcards that reproduce paintings by artist Peter Oresick. One of them is a portrait of Edgar Allan Poe. Lady in the Death House (1944). In Lady in the Death House, a woman (Jean Parker) is on death row for the murder of a blackmailer, although she claims she was framed for the crime. A criminologist (Lionel Atwill) looks into the case, seeking to save her from the electric chair. The film is based on "Meet the Executioner" by Frederick C. Davis.